Use GIFTS for the coupon code when you check out! 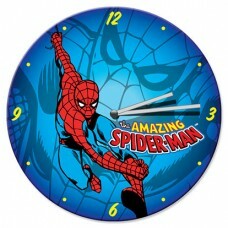 Marvel Comics Spiderman Wall Clock, 13.5" Diameter Decoupage Wood Wall Clock, Battery Operated.. 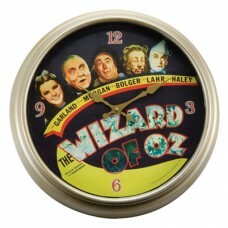 This Betty Boop wall clock is 11" in diameter made with decoupage wood with printed picture. It run..
Betty Boop Twin Bell Kick Alarm Clock is a 6" tall Battery Operated Twin Bell Alarm Clock..
Wizard of Oz Clock, 15.75" Diameter Clock Plastic Frame with Glass lens, Battery operated..
AS-IS Small scuff on face of frame 15.75" Diameter Plastic Frame w/ Glass lens, Battery operated..